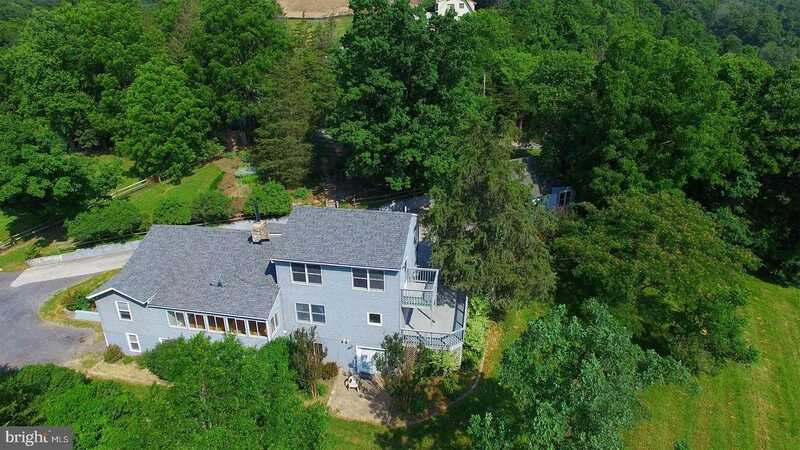 Relax on the shenandoah river while enjoying the mtn view! ( 200+ feet of river frontage) 3700+ finished sq ft, gourmet kitchen, sunroom, den, library, office, private in law suite – all this awaits you! Room for small farmette, unrestricted w/2 fenced areas, run in shet & 2 car garage/barn w/storage! Carriage house w/studio & workroom w/loft. Bring your animals. Established garden &pirate ship! Bring your canoe/kayake! your own private oasis! Lots of room to entertain! Property was used as farmette with chickens, goats, etc. large ourtbuilding used as barn with two run in sheds SEller will consider owner financing with a considerable deposit!!!! Please, send me more information on this property: MLS# 1000297034 – $515,000 – 499 Osprey Lane, Front Royal, VA 22630. I would like to schedule a private showing for this property: MLS# 1000297034 – $515,000 – 499 Osprey Lane, Front Royal, VA 22630.